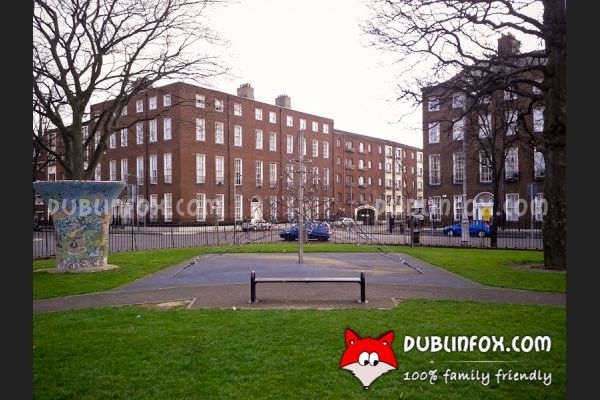 When we visited, Mountjoy Square Park seemed a bit sinister to me for some mysterious reasons, although I cannot really explain, why. 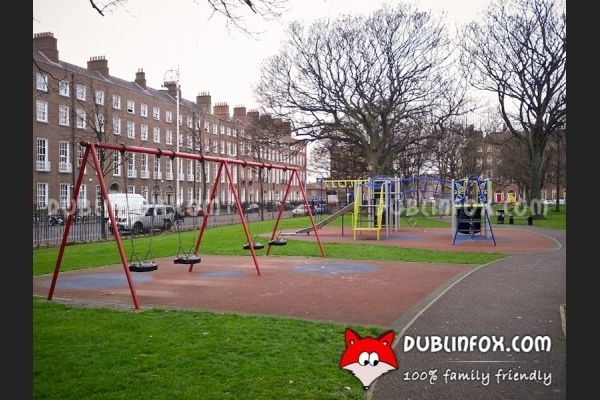 There are two playgrounds in the park, or rather, there is a fenced junior play area and another section, where older kids can play. 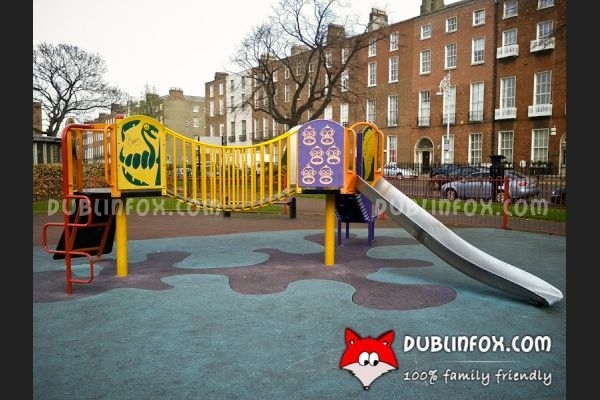 The junior playground is middle-sized and absolutely suitable for the youngest children: it consists of an exciting play panel, a see-saw, a multi play unit with slide, a merry-go-round, two baby swings and two springers. 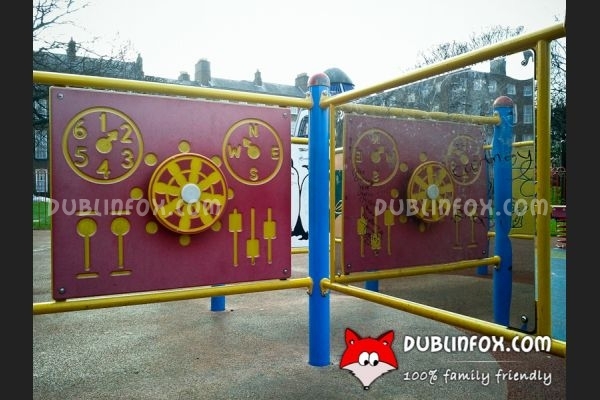 Older kids can choose from a giant climbing net unit, a rocket-shaped climbing structure, a hurricane spinner, a multi play unit with slide and four swings. 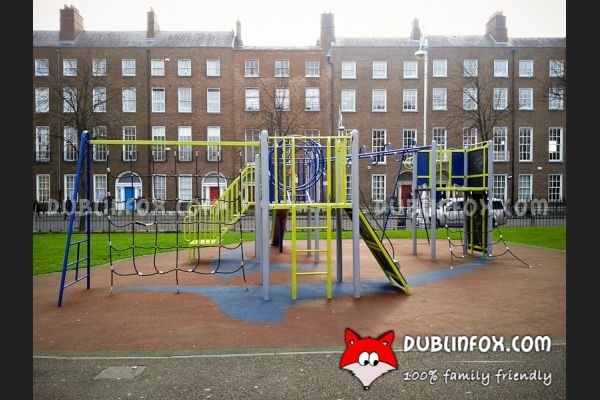 The park around the playground is not the biggest one, but in the concrete city centre it is a great green spot to ramble. 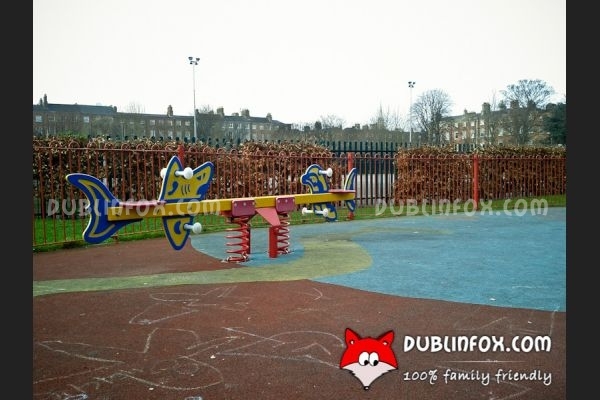 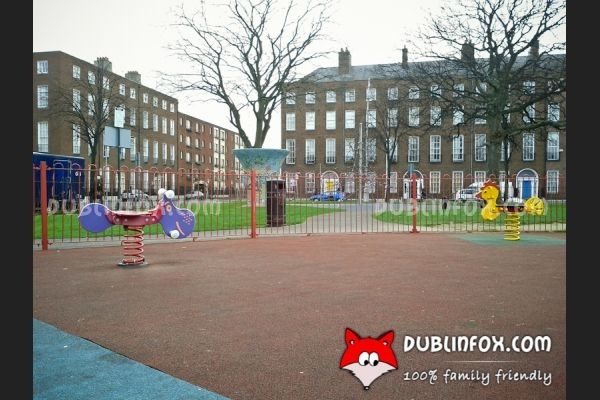 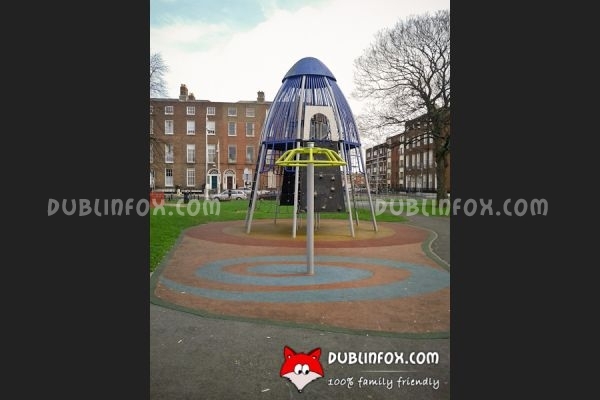 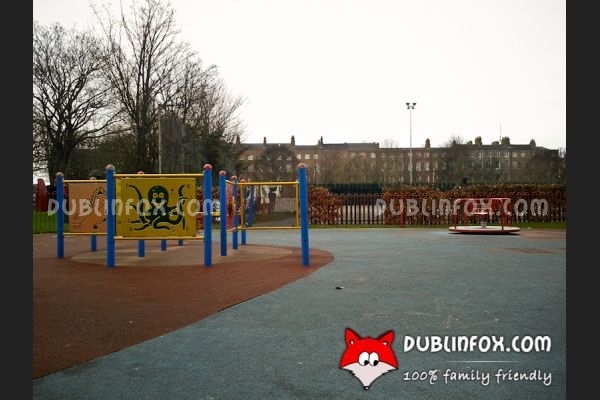 Click here to open Mountjoy Square Park's website in a new window.